First Edition Identification – The Very Hungry Caterpillar 2015 Caldecott Awards Announced! I recently performed a search for first editions of the first forty Caldecott Medal books (covering the award years 1938-thru-1978) to determine the number of books currently being offered for sale. The search was identical to an internet search I completed a couple of years ago, and similar to past searches, calculated the average selling price for each book. The searches were performed across multiple book sites, ABE, ABAA, and Bookfinder, and were filtered for first edition books with dust jackets, in VG- condition or better. Ex-library editions, first editions without dust jackets, and dust jackets in poor condition were excluded from the search results. For the results of survey please see the table below. Note: In the table below, click on the book’s title to see a representative search for the book on ABE Books. You will have to comb thru the results and select the first editions. The search queries do not rely on the ‘first edition’ or ‘dust jacket’ properties within ABE listings since these are unreliable. I have no affiliation to ABE Book, any bookseller, their offering(s), or to the sale of any particular book mentioned on this site. 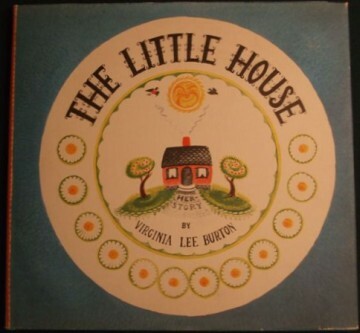 For the years 1938-to-1978, the survey found 130 first edition Caldecott Medal books currently offered for sale (2013 search, 122 found) with an average selling price of $2,726. In the survey the asking price was not adjusted to the condition of the book being offered, so use the average price judiciously, since the book and jacket’s condition has a major impact on valuation. Also, the average price is skewed by the Caldecott collection being offered on consignment by James Cahill of Quintessential Books. James indicates the prices for the books are established by the seller, a private collector. In this year’s survey table the Scarcity and Collectibility index for each title is omitted, however they can be found on here at Collecting Picturebook's Caldecott Medal web page. As many of the regular readers know, for the 24,000 picturebooks in my database, each book's collectibility is ranked on a 1-to-10 scale, with 10 being the most desirable, and each book's scarcity is similarly ranked, with 10 being the most scarce. For first edition Caldecott Medal books, my norm is to start with a Collectibility Index of '7', then adjust the index for other factors, such as illustrator's or author's eminence, copies sold, and so forth (see Factors Affecting The Value Of Children's Books). First editions for seven of the forty Caldecott Medal winners are not currently being offered for sale on the internet. Understandably it would be a seller's market for pricing any of seven in first edition issue with dust jacket. Six of the books were not found in the 2013 census either, in chronological order: the Hader's The Big Snow (1948), Leo Politi's Song Of The Swallows (1949), Finder's Keepers (1951), Nonny Hogrogian’s Always Room For One More (1966) Ed Emberley’s Drummer Hoff (1968), and Gerald McDermott’s Arrow To The Sun (1975). From my experience, of these Finder's Keepers is the scarcest issue, followed by Song Of The Swallows. Finder's Keepers is a scarce issue, nearly as 'rare' (less than 10 known copies) as The Snowy Day (1962) or A Story, A Story (1970). While first editions were not found in the market in 2013 or for the current search, I don't think Always Room For One More, Drummer Hoff, and Arrow To The Sun are scarce in first edition issue – time will tell – however I did elevate their Scarcity index to ‘7’ in the picturebook database. Obviously, should a single copy surface, the offering price will represent a seller’s market with no competing comparables. William Steig's Sylvester And The Magic Pebble is a tough 'get' in first edition issue. The book is larger than one would expect, and beautiful to behold. In consideration of Steig's success as a cartoonist for the New Yorker, producing some 2,600 illustrations and over 110 covers for the magazine, and his creation of Shrek, which formed the basis for the Dreamworks movie series, his first edition picturebooks are very collectible. Only one first edition copy of Feodor Rojankovsky's Frog Went A Courtin (1955) was found in the 2013 search – was offered for $1,650, so presumably sold – and none for this year's survey. Only one first edition copy of eight other Caldecott Medal books were found on the market. The two big surprises are a first edition copy each of The Snowy Day ($4,500) and A Story, A Story ($3,500). These are two scarce books, probably 'rare' in the classical sense, with less than ten known copies. This is the first time in over a decade of internet searches that I've found either first edition book standing for sale on the market. In addition to the two above, there is only one first edition copy of Mei Li (1938), The Rooster Crows (1945), The Biggest Bear (1953), Baboushka And The Three Kings (1960), One Fine Day (1972), and the Dillon's Why Mosquitoes Buzz In People's Ears (1975). There are thirteen copies of the 1964 Caldecott Medal winner Where The Wild Things Are on the market. The asking price averages over $13,000, and ranges from $20,000 to $8,500. The high prices are indicative of the high desirability/collectible of the book coupled with its relative scarcity. In my database of over 24,000 children's book titles, I give only two books a Collectibility Index of '10'; Cat In The Hat and Where The Wild Things Are. Even Curious George and Goodnight, Moon only garner a '9' in collectibility/desirability. 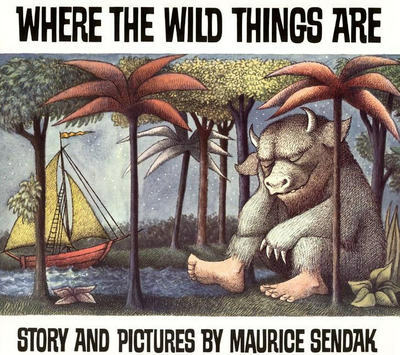 Where The Wild Things Are has been a known collectible outside of the children's book market, so generalist booksellers have carried the book in addition to the children's book specialist. 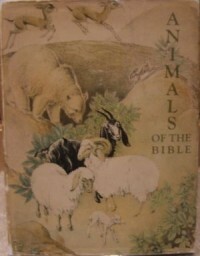 The book is routinely included in fine book auctions. These documented prices have become known, so book scouts and booksellers are on the lookout for first edition copies. Documented prices have escalated over the past two decades. Are thirteen copies too many? Should prices fall? I don't know – it depends on how many copies are being bought/sold each year, the annual 'turnover' of the first edition book in the market. For example, if only one copy is sold/bought per year, then thirteen copies on the market is too much. However if twenty copies are sold/bought per year, then thirteen is probably too few. There are an adequate array of prices, book condition, provenence, and bookseller credence to provide the able and willing prospective book buyer an adequate range of selection. Thirteen copies seems within the range of the 'right number'. Interestingly several of the higher priced copies of Where The Wild Things Are from the previous survey are no longer on the market, presumably sold. This is also the case for several of the other Caldecott books – the higher priced issues are no longer on the market, presumably sold. The collectability and scarcity of the 24,000 titles in my database have each been rated on a 1-to-10 scale (10 being most collectible and 10 being most scarce). These ratings are included in the table with the survey results. As most experienced book collectors and booksellers know, the scarcity of a book has a major impact on its value in the market. Scarcity in and of itself does not drive value, but instead value results from a combination of scarcity and demand. For books, the scarcity-versus-collectibility equation is synonomous with the familiar supply-versus-demand equation taught in classical Economics. Scarcity represents the collective supply for the first edition book, while collectibility is the population's demand. While the latter is of primary concern to the book collector and to the bookseller when pricing a book within the current market, the former must be considered, if only slightly, when making a collectible book purchase with "investment" concerns. Since most librarians currently do not know how to correctly identify first editions of contemporary American picturebooks, it is problematic to query libraries/institutions using Worldcat to understand the population statistics for such books. Keep this in mind as the hobby matures. Eventually, libraries will house first edition collections of Caldecott Medal books, Seuss books, and the like, so querying Worldcat will not be as futile. With regard to the number of copies currently on the market, there is no "one magic number" agreed upon in the hobby which balances the supply and demand of the book. For example, if three first editions are on the market, should the price rise? In theory a rising price should bring more copies to market. If ten copies are on the market, should prices fall? I dunno the answer – it all depends. There is no right "one magic number" which works for all books. Each particular book is different. This number which balances the supply and demand would be dependent upon the average turnover for that book in a particular year (or over the course of years), along with the current average selling price, along with historical auction/selling records, along with a lot of other considerations. For example, ten first edition copies might be right for a $10,000 book, where two or three copies are sold per year, along with decades of auction prices to support this pricing/valuation. On the other hand, ten first edition copies might be too many for a $100 book, with one, maybe two copies sold per year, and no auction or historical prices to support this valuation. It all depends. A comprehensive database does not exist which records every transaction of every first edition picturebook offered and sold. If one did, then it would be much easier for the bookseller to price a book and the book collector to value a book. The turnover of the book would be visible along with the historical selling prices. Trends would be visible. Instead booksellers and book collectors operate in a very imperfect market, one with very little historical information. Auction records do exist for high-end books, however for the vast majority of American picturebooks no such records exist. To read more about Scarcity and Collectibility, see Part 8 of my article on the Top 100 Collectibile American Picturebooks.